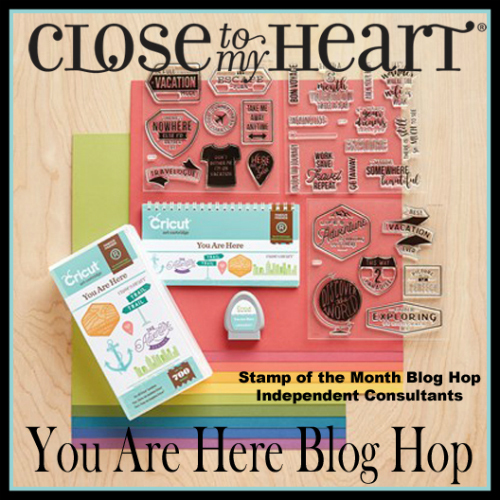 Welcome to our You Are Here Blog Hop! 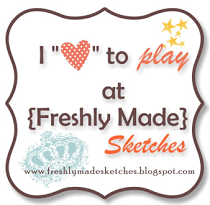 We will be featuring the new You Are Here Cricut Collection. If you have come here from Cat Nowak’s Blog, you are on the right path! The blog hop is a great big circle, so you can start here and work your way all around. If you get lost along the way, you’ll find the complete list of participating consultants on Melinda’s Blog. To visit each blog for some great ideas just click on the link at the end of the post on each blog to move to the next one! Here we go! Supplies used: You Are Here Cricut cartridge, Black Glitter Paper, Bashful Glitter Paper, Basics Fundamental Paper Packet, Black and White Dots, Matte Mod Podge, and clipboard. I was so excited to discover that there was a ballerina on this cartridge! 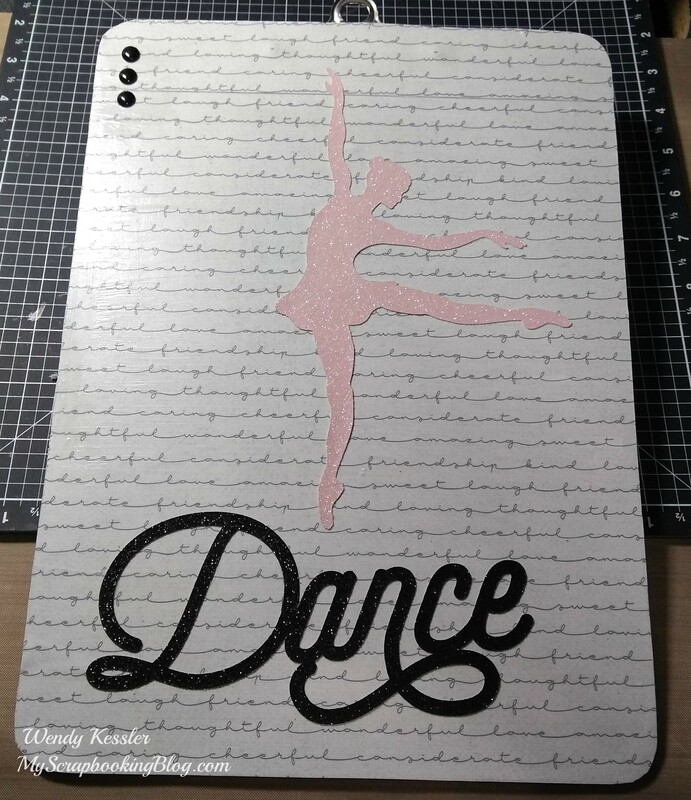 I have been wanting to make this clipboard to use at recital and I’m sure one of my girls will claim it for the rest of the year. I am also really excited about the gymnast and have pictures ready to use those images on a layout. 1. Paint edges with acrylic paint if it is not the color you want. 4. Lay paper upside down on table, set clipboard on top (careful to make sure it is lined up the way you want it because you only get one chance with this) and press fimly. 6. Flip over and trim paper off the edges using an x-acto knife and/or scissors. 7. Apply another layer of modpodge and arrange added papers and embellishments. 9. Add one final coat of modpodge over entire project. Go around any embellishments (like the dots on my project) and make sure you apply around the edges of the clipboard so the paper doesn’t peel up along the edges. Now “Hop” on over to Brenda Lapp’s Blog to see her work! Be sure to visit all the consultants at their blogs to get some great crafting ideas!